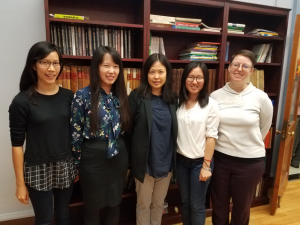 On Friday, October 6th, Rutgers comp lit/Asian studies graduate students Lina Qu, Virginia Conn, Penny Yeung and Coco Xu participated in a Tri-University symposium titled “Peripheral Archives: The Past and Future of Sinophone Literature and Culture.” Spearheaded by Prof. Xiaojue Wang from Rutgers Comp lit& Asian Languages and Cultures, Prof. Shuang Shen from Penn State Comp lit& Asian Studies, and Prof. Andrea Bachner from the Comp lit department at Cornell, graduate students, post-doc, exchange scholars and professors from three universities gathered in State College, PA for the very first of what is expected to be a series of annual workshops on Comparative Chinese Studies. During the first half of the symposium, Lina gave a talk titled “From Bumming in the World to Homecoming to Faith: the Documented Path of Global Mobility and Displacement of Zhang Ci.” Using contemporary diasporic Chinese female independent filmmaker Zhang Ci as an example, she complicates our understanding of belongingness and offers a heterogeneous notion of home and homecoming through a close reading of three documentary films Bumming in Beijing: The Last Dreamers (1990), At Home in the World (1995), and The Faith of Ailao Mountain (2015). Her presentation received enthusiastic comments and suggestions from the audience and generated discussions on literary production and circulation processes, marginality and urban-rural interconnections as well as affective and the biopolitical controls of the body in diasporic experiences of global displacement. Besides Lina, five other graduate students, post-docs and assistant professors from Penn State, Cornell, UPenn, and Nanyang Technological University in Singapore gave presentations on respective topics spanning from global Sinophone literature(s) to peripheral archival studies, with six faculty members from Rutgers, Cornell, and Penn State serving as discussants. 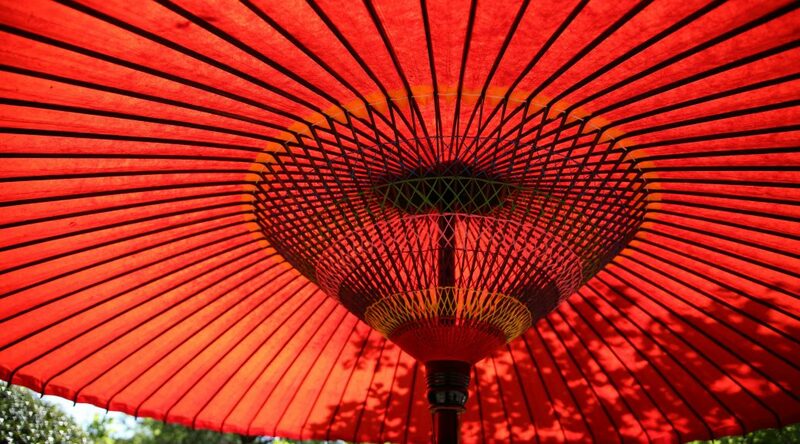 Responding to existing scholarship on postcolonial studies as well as global Anglophone and Sinophone studies, discussions centered around the deconstruction and redefinition of concepts like “cultural China” and “Chineseness”. 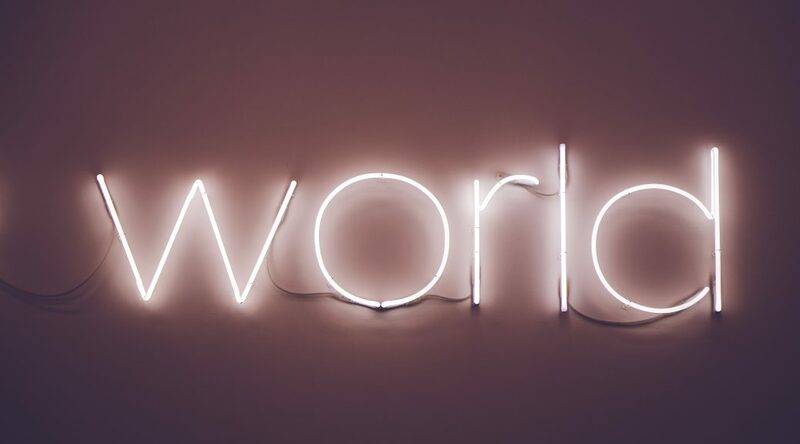 In order to complicate the understanding of national and cultural identity as well as making an intervention in broader scholarly conversations on the making of global imaginary, our discussion challenges the ethnocentric paradigm of center- peripheral thinking and seeks to reexamine “the peripheral” through lenses of non-linear temporality and inconsecutive spatiality. 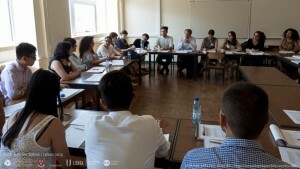 Also, an emphasis on archive is played out through inclusive studies of different medias, examinations on the production, circulation and consumption of cultural artifacts and media, as well as discussions on affective effects of interactions with multiple archives as part of the literary experience. The one-day symposium took on a workshop format. Open to graduate students and scholars from comp lit and related fields from three aforementioned universities, the symposium seeks to provide a platform for inter-university exchange as well as academic community building. With pre-circulated papers inside the group, we were able to fit six short presentations followed by comments from designated discussants as well as extensive discussions among participants. The workshop format allows the presenters to reach out to an audience of similar academic interests and a wide range of expertise in order to collect critical comments from different perspectives. It also proves to be immensely productive in generating interactive and in-depth discussions between the presenter and the participants. Looking forward, we expect to continue the conversation between comp lit and Asian studies departments across the three institutions through more tri-uni symposium/ workshops held by respective universities in a rotating manner. Sponsored by Asian Studies and Comp lit at Penn State this time, the next session is to be held at Cornell next fall with the following session at Rutgers in two years. We are looking forward to expanding and developing our conversation on comparative Chinese studies with more exciting projects in the coming meetings. A little more about Penny: Prior to coming to Rutgers, Penny spent four months working for a non-profit, Very Hong Kong, an explorative community project that combines art and urban development by inviting local creatives to transform underused public spaces. She is now eager to continue her research interests in geocriticism and Romanticism, and hopes to further explore the relationship between literature and politics, as well as transnational dynamics of the novel in a Sino-French context. Penny also holds an M.A. in Comparative Literature from King’s College London. 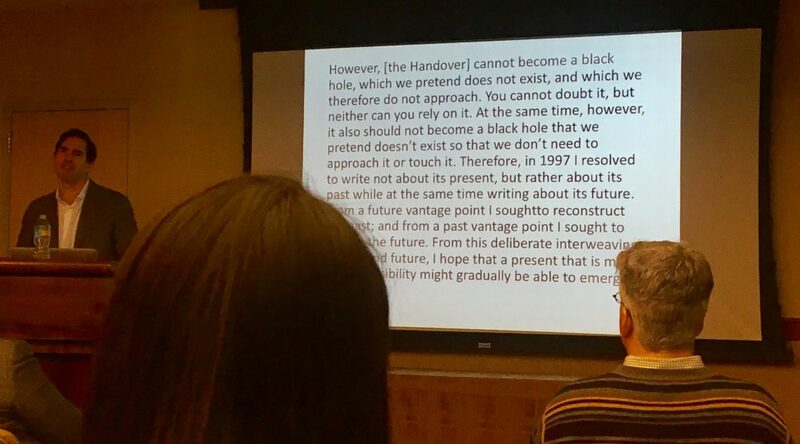 On Thursday, March 2, Professor Carlos Rojas of Duke University spoke to a roomful of audience on the topic of “Anticipatory Nostalgia: Queering the Hong Kong Handover,” as part of the China Lecture Series organized by the Department of Asian Languages and Cultures at Rutgers University. This upcoming July 1, 2017 being the twentieth anniversary of the handover of Hong Kong from Britain to China, Professor Rojas noted, the occasion is sure to invite critical reflections on how the historical transition will be commemorated and remembered. Professor Rojas opened his lecture by way of a discussion of Dung Kai-Cheung’s Atlas: The Archeology of an Imaginary City. Atlas was published in 1997, the year of the handover, and reprinted along with three of Dung’s novellas in 2011 as part of what is now known as the V-City series (V-City being the shorthand for Victoria City, a fictional stand-in name for Hong Kong). The preface of the V-City series provides a suggestive perspective to rethinking time: using an imaginary vantage point in the future to reassess the present and the past, and taking an imaginary vantage point in the past to assess the present and the future. The upshot is a troubling of the present as a stable reference point. Rojas then turned to the notion of “déjà disparu,” put forth by Ackbar Abbas in his elegant and seminal monograph Hong Kong: Culture and the Politics of Disappearance (1997). “Déjà disparu” posits that in Hong Kong’s case, culture and identity are articulated—paradoxically—at the brink of their disappearance. Their formation always already entails a belatedness; their manifestation, in this sense, borders on the spectral—as something already lost, or in the process of becoming so. In Rojas’s theorization he coupled this with Freudian conceptions of fetishization and deferred action. The temporal dimensions in both Abbas and Freud allow for a theorization of the forms of remembrances, both anticipatory and nostalgic, set into motion by the 1984 signing of the Sino-British Joint Declaration, which laid out the provisions for Hong Kong’s handover to China. As Rojas pointed out, the signing of the 1984 declaration triggered a concern with imminent loss, which in turn, ended up generating what would then be lost. Drawing on the notion of queer futurity and utopia in Lee Edelman’s No Future: Queer Theory and the Death Drive and José Esteban Munôz’s Cruising Utopia: The Then and There of Queer Futurity, Rojas further argued that a queer perspective of the handover may offer ways to think about alternative potentialities and possibilities of the future. Professor Rojas illustrated this through close readings of three works created right around or shortly after the handover: Wong Kar-Wai’s film Happy Together (1997) (paired with a reading of Italo Svevo’s Confessions of Zeno); Fruit Chan’s film Made in Hong Kong (1997); and Dung Kai-Cheung’s novel Works and Creations (2005). Rojas argued that in all three, depictions of futurity are delinked from heteronormative visions of youth and childhood. Diverging from narratives of conventional reproduction, these depictions challenge notions of linear time and seem instead to align with queer futurity. There is a turn to the past to critique the present, while being simultaneously resonant with desire for the future. Optimism exists, Rojas asserted, albeit one that is mediated through a meld of fear, anxiety, and frustration. Professor Rojas’s talk provided provocative insights into how trauma may be revisited, reenacted, and possibly transcended. 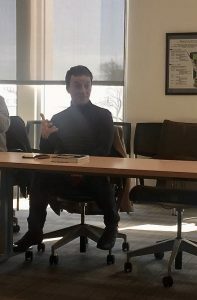 Prior to the lecture, Professor Rojas graciously shared his time with a group of graduate students, during which the conversation ranged from contemporary gender issues in China, comparative literature and methodology, to the vexed yet productive intersections between postcolonial and national discourses. 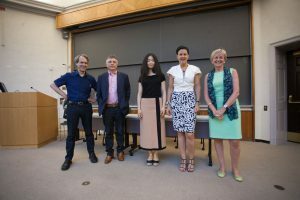 After Beijing (2011), Istanbul (2012), Cambridge/ Boston (2013), Hong Kong (2014), and Lisbon (2015), this summer the Institute for World Literature met again at Harvard. Since its inauguration in Beijing, this summer program has been a place where genuine thinking and heated debates about world literature are happening. Led by David Damrosch, 14 scholars and over 150 student participants from more than 30 countries gathered for intellectual exchanges over the course of four weeks. This year, the program ran from June 20th to July 14th. Each participant had the chance to choose two from a total of 14 seminars, each of which met four times a week for two consecutive weeks. The seminars were led by prominent scholars in the field; some held broader thematic concerns, such as Eric Hayot’s “The Small and the Large” and David Damrosch’s “Grounds for Comparison.” Some represented more specific topics, such as Bruce Robbins’ “Cosmopolitanism, Atrocity, and Time” and Reine Meylaerts’ “Multilingualism, Translation and World Literature.” Participants were also expected to attend colloquia, panel discussions, and lectures, where they had more time to talk about interests and concerns of their individual research experiences. As one of the founding members, Rutgers has always been part of this growing program. 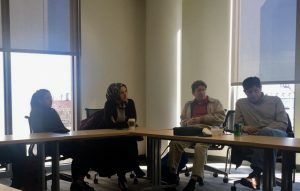 With Rebecca Walkowitz’s seminar “Close Reading and World Literature” and up to four graduate student participants, Rutgers contributed greatly to this year’s IWL event. Participating as a graduate student from comparative literature, I found the experience at IWL especially valuable for the scope of its theoretical concerns, as well as for the cultural diversity that it represents. Each compressed in two weeks, the two seminars required intense work and preparation. 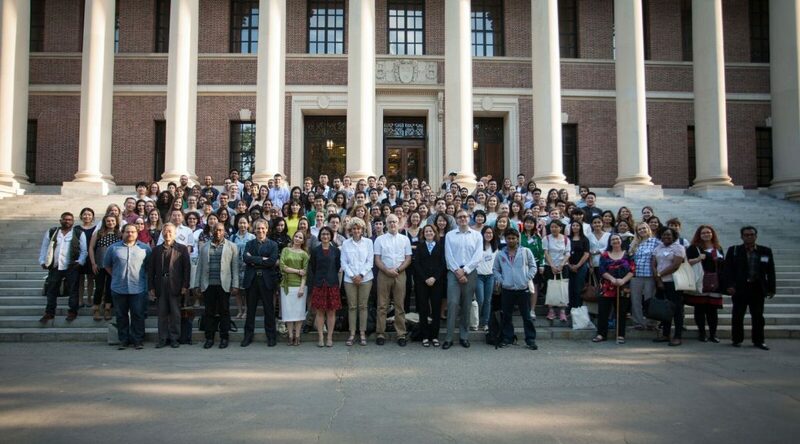 However, IWL granted its participants with free and unlimited access to the Harvard libraries and museums, which proved to be very convenient for study and research. In class, I benefited a lot from professors’ theorization of world literature and the various perspectives that the diversity of my classmates’ cultural background made possible. Thanks to the event’s general atmosphere of friendliness, openness, and generosity, discussion and conversation went beyond the classroom. During office hours there were always lines in the waiting room, and before and after classes small gatherings of chatting students were everywhere to be seen. 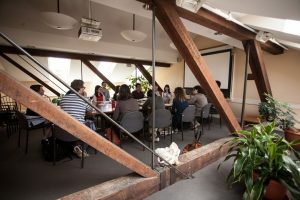 Another indispensable part of the IWL experience are smaller meetings called colloquia, where participants with similar research interests get together to talk about their ongoing work each week. In my group “World Literature and Translation II,” there were 12 students and scholars. 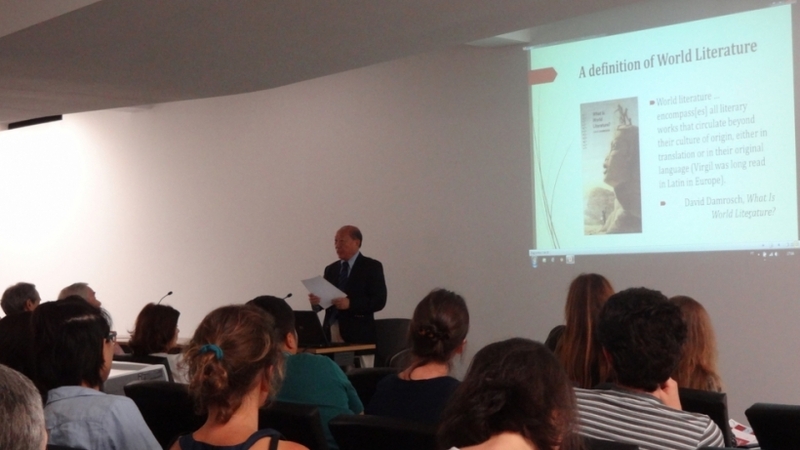 When it was my turn to present, I gave a presentation on the Chinese artist Xu Bing and received many interesting responses. In a more casual atmosphere, colloquia provided participants with an opportunity to think together and help each other, which eventually opens up new perspectives and brings back unexpected inspirations. The panel on the job market. As a bonus for the hard-working participants, IWL also arranged optional museum visits and beach outings, an addition to the fun of staying in Boston. Given the intensity of the program, in recollection I consider the closing of IWL in the middle of this July a start, rather than an end, of a quest for the answers to the many questions the Institute has made me ponder about. I will definitely keep thinking about the themes we have discussed during a very productive month in my future studies, and I look forward to keeping in touch with the friends and colleagues that I have met during the program. 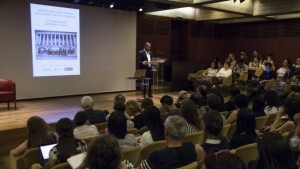 The Institute for World Literature, created in 2011 thanks to the effort of a group of professors and scholars interested in the burgeoning debate around World Literature, was held in Lisbon, Portugal, from June 16th to July 22nd. Organized by Harvard University, and directed by David Damrosch, the Institute meets every summer in a different location, drawing together a wide-ranging academic community for an intense month of lectures, debates, and seminars. Rutgers, as one of the founding institution of the Institute, has contributed to its development and success, and, since its inaugural session, has funded several students to participate in this intellectually stimulating experience. For graduate students in Comparative Literature the Institute has been particularly rewarding, given its global focus. 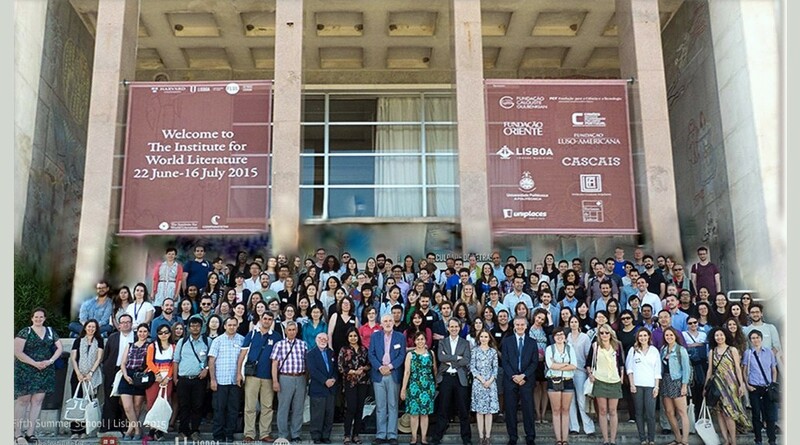 This summer I had the opportunity to be in Lisbon for a month and be part of this vibrant event, which I found challenging and intense, and yet, extremely friendly and welcoming. I attended two seminars (each lasting two weeks). Thanks to the diversity of the students and to the enthusiasm of the professors, who listened and coordinated very different takes on the readings assigned, I engaged in lively and inspiring discussions, which have helped me delve into questions that will be crucial for my future research. 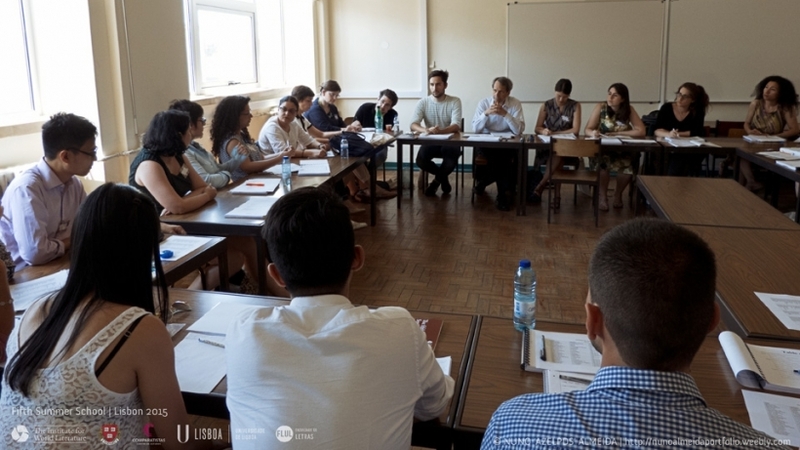 Apart from these intense seminars, students and scholars had the possibility to be part of an “Affinity Group.” Depending on one’s specific interests related to World Literature, every participant could choose a group and get together, rather informally, with other students working on similar topics. I personally chose “Poetics and Politics of World Literature” where I presented a paper (everyone is asked to do so) and received extremely interesting feedback. 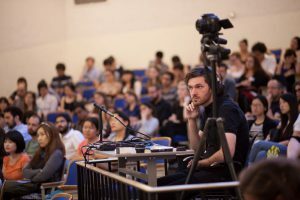 The organization and rationale of these groups is ideal, since every student is given the opportunity to share his or her work as in a conference, but without its formal and (potentially intimidating) setting. In addition to these activities, the Institute hosted several lectures by prominent scholars of World Literature and by poets and writers, along with panels focused on relevant contemporary debates in academia, such as publishing and program design. The cultural activities and optional outings offered by the Institute, as well as the touching beauty of Lisbon, made this experience extremely rewarding and fun. The readings, discussions, and lectures have already helped me develop ideas and questions that I will continue exploring. Finally, the Institute has given me the opportunity to build a solid network of professors and graduate students from several cultural and academic backgrounds with whom I hope I’ll continue to be in conversation.